Home / Blog / Online Marketing / What is Bounce Rate? The bounce rate measures the number of people who arrive at your site, then leave your site after viewing just one page (instead of going on to explore other pages on the site). Such a visit is called a bounce. To calculate a website’s bounce rate for a given period, you divide the number of bounces by the total number of site visits during the period, and multiply by 100. For example, say your site gets 1,000 visits in a 24-hour period, of which 300 are bounces. Your site’s bounce rate is therefore (300 ÷ 1,000 × 100 ) = 30%. You can also calculate bounce rate on a per-page basis. For example, if 1,000 visitors enter your site on a particular page and 300 of those visitors leave without viewing any other pages, then that page’s bounce rate is 30%. A low bounce rate indicates that the site is attracting the right kind of audience, and that visitors are exploring the site’s content. A high bounce rate suggests that visitors aren’t finding what they’re looking for when they arrive on the site, and are going back to their search engine to find something else. If you run an online store, for example, then a high bounce rate is cause for concern, since visitors aren’t moving through the sales process. Similarly, if your site’s aim is to funnel visitors to your newsletter sign-up page and get them to subscribe then a high bounce rate indicates that the site isn’t doing its job properly, or that you’re attracting the wrong kind of visitor to your site. However, a high bounce rate isn’t always a bad thing. For example, if your site mainly contains information such as articles — our own www.elated.com site is a good example — then your bounce rate will naturally be quite high. This is because visitors tend to search for a specific topic, find your article page, read it, and then, because they’ve got what they needed, leave your site (ideally by clicking an ad or visiting a sponsor). Likewise, if the goal of your site is to get visitors to call your sales line, then a high bounce rate is OK provided that your visitors do end up calling your sales number. That said, it’s nearly always worthwhile trying to lower your site’s bounce rate and engage your visitors more. For example, you might want a visitor to leave a comment on an article, or to sign up for your newsletter. 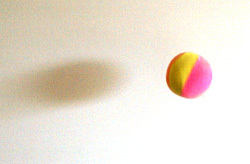 What is a “good” bounce rate? So what is an acceptable bounce rate? As you’ve probably guessed from the above, it’s hard to say, as it varies wildly from site to site and market to market. As a general rule, if you’re running a site that expects visitors to engage with it — such as an online store — then your bounce rate should probably fall in the 20-50% range. On the other hand, if your visitors’ goals can be accomplished with a single page view — such as reading an article, or finding a contact phone number to call you — then you can expect a higher bounce rate, in the region of 60-70%. What is considered an acceptable bounce rate for different types of sites. In my next bounce rate articles I show how to measure different bounce rates for your site in Google Analytics, and reveal some ways to reduce your bounce rates. Have fun! Thanks. This is one of the best articles on the topic I’ve read in recent times. Looking forward to the second part. Thanks mauco. 🙂 Should have the next article in the next week or so! bounce rate is a measurement of site’s usage..
if it tends to be closer to zero then it is good for site. Why is 100% bounce rate “bad”? What if you runs a search site, or a lead generating site, or a MFA site? For these sites a “bounce rate” of upto 100% is to be expected and is absolutely normal. I would expect Google’s “bounce rate” is well over 90%. Bounce rate is subjective and totally dependant of the type of site that it is being measured for this metric. @chrishirst: Great post. I agree with the point you’ve made about bounce rate being subjective and dependent on the site/page being measured. I noticed this on a site that had a landing page that required visitors to sign up for a particular service. Though it had a high bounce rate, the page still fulfilled its purpose because once you landed on it, you had one of 2 choices either sign-up or leave. So for those that signed up, the page had fulfilled it purpose and the owners of the site were pleased. We have a â€œpersonalityâ€ website we post to daily, mostly for fun and to keep our humor writing, cartooning, and photo skills in shape. Topics range across the spectrum of whatever we found interesting that day. Still, itâ€™s interesting to see what topics and medium were most compelling. And no surprise, looking at bounce rate shows that topics that are part of a thematic thread or are completely unique to our site have the lowest bounce rate. For instance, I crocheted a hat last week in honor of Alexandre Bilodeauâ€™s Olympic gold medal for Canada and blogged on it, titling it â€œIn Honor of Gold, Iâ€™m Making A Bobbled Bilodeau.â€ Three days later, we posted â€œBobbled Bilodeau Update,â€ and guess what? A bounce rate of zero. BTW, as an ex-teacher, I love that you add the “summary of what you’ve learned” section at the end. What you say is very true: Several linked pages that follow a consistent theme will often have a low bounce rate, since visitors will tend to read more than one page. Bounce rates really can vary wildly from page to page, depending on the type of content, the way the page is linked to, and so on. Thanks for your kind words regarding the summaries. I’ve started adding summaries to articles recently and I think it really does help the learning process! No it isn’t, so I suggest that you READ the article before commenting with mis-information. Bounce Rate is the percentage of people who leave the site without looking at any other pages, it is generally considered that an increase in bounce rate is a bad thing. A low bounce rate means high website visitor engagement. Bounce rate is a measure of visit quality and a high generally indicates that site entrance pages relevant to your visitor. if your site has a bounce rate of 75%, it means that 75 out of every 100 visitors who clicked on to your link did not view the other pages of your site rather simple left within seconds on visiting the first page of your site. Or it could mean that 75 out of 100 clicked on an advertisement and earned your account a click payment. In simple language we can say that the percentage of visitors to a particular website who navigate away from the site after viewing only one page. Bounce rate is the percentage of visitors to a particular site who navigate or â€œbounceâ€ away after only viewing that individual webpage. That is UTTERLY and TOTALLY incorrect. Search engines have absolutely NO IDEA what happens when a ‘visitor’ arrives on your website. Bounce Rate is very important in SEO. bounce rate is the percentage of users who arrived on your website and suddenly leave without read your website pages.